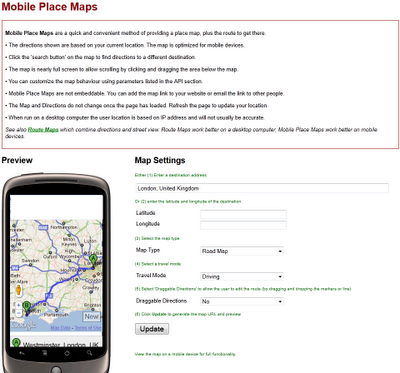 Map Channels 'Map Place Maps' is now available for mobile phone. 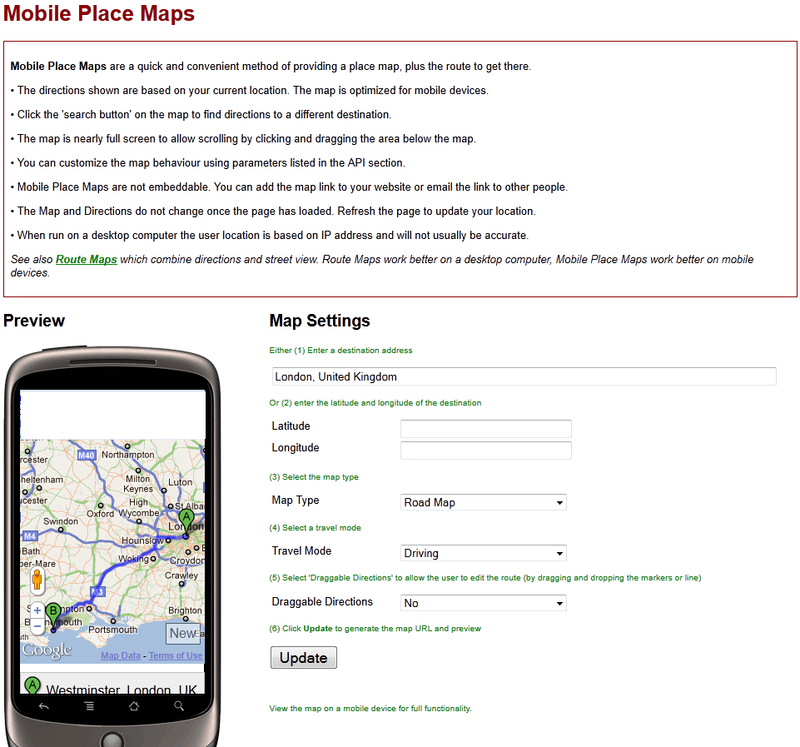 "Mobile Place Maps are a quick and convenient method of providing a place map, plus the route to get there." The successful Map Channels has been updated once again with some more useful tools. 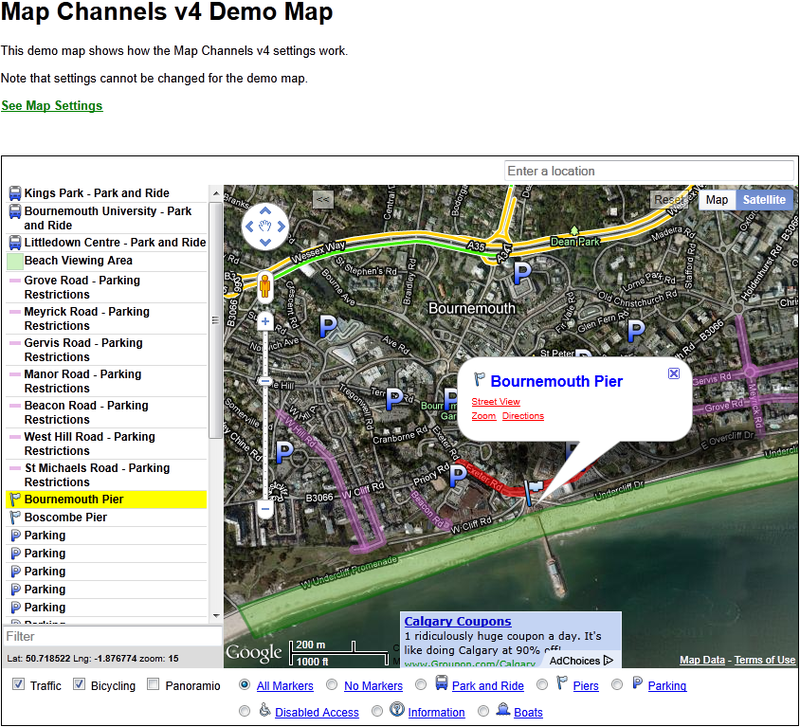 "Map Channels lets users easily embed maps into websites and blogs. A number of tools are available to create maps from KML, GeoRSS or spreadsheet map data. A range of features and options let you customize the map appearance to meet a range of mapping needs. " Search facility is now powered by the Google Places API. 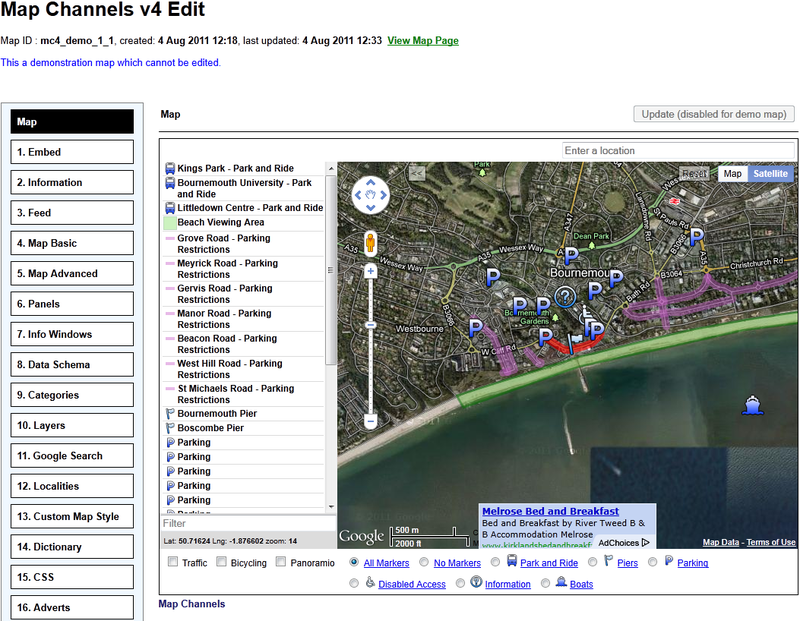 User can define a list of localities, giving quick links to map locations. The footer bar can be customized by using a HTML template to show categories, layers and localities. An information panel can be used in addition to the info window to display detailed place information. A map is provided to (optionally) set the initial map centre and zoom level. A preview of the feed data is displayed (useful to spot if an incorrect feed url has been supplied). Additional help for setting up a data feed.